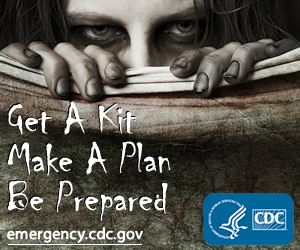 Even the CDC knows about the Zombie Apocalypse. whats in the kit? ammo for your shotgun? unless you buy the upgraded kit for married people.... then it has 2 bullets.